When we talk of any slip ring brush, we need to understand that it is an indispensable part of the slip ring. In fact, it is the brushes which make the electrical connection possible for further transmission. 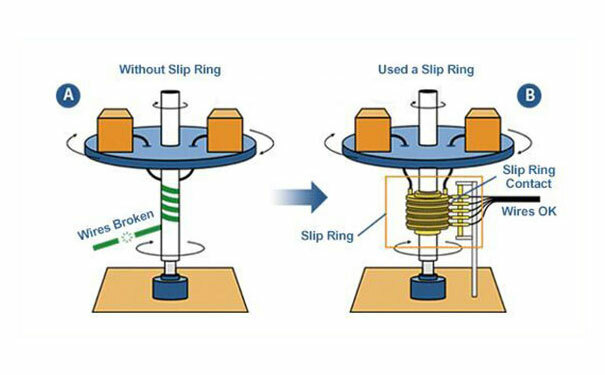 Generally, the function of slip rings is to transmit the signals from the stationary part to the rotating part. This functionality can only be achieved if the brush is installed in the slip ring. Thus, without the brush, the function of slip ring ceases to exist. what are slip ring brushes? A slip brush can be defined as an element which makes the electric connection between the rotor and the stator possible. The entire working of the device is based on the sliding contact between the slip ring and brush. The brush rubs against the ring which induces a current in the system for further transmitted. The slip ring motor including both the asynchronous and synchronous and all other kinds of the rotatory system include the application of slip ring. 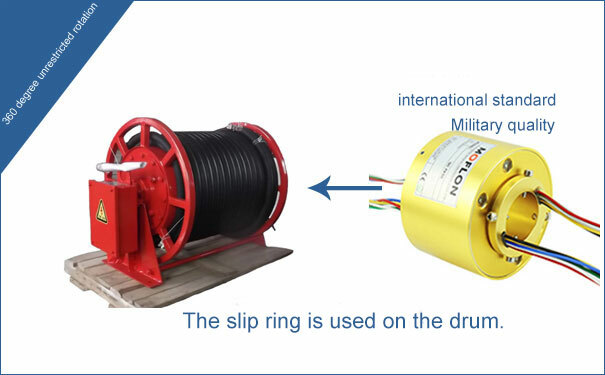 Having said that, it should be also taken into consideration that different slip rings are based on unique design cue and technology. Now, the different design cue involves the use of distinct brush material. Thus, the level heat produced in the system varies greatly. To counter this variation, one needs to the right grade of slip ring brush. The idea of choosing the right brush is to elucidate the fact that the connection of ring and brush causes a high level of resistance, which further amounts to excessive heat being pumped into the machine. So, if the slip ring brush is picked judiciously, the low level of heat can be easily dissipated a compared high thermal level. Choosing the right grade of slip ring brush would result in a higher efficiency. Further, it can help in reducing the high level of voltage and make way for the high current transmission. Generally, carbon and copper are used to make a brush. The is a different level of brush grade available for a slip ring brush depending on the content of the metal, which may range from 0% to 90%. Choosing the right grade of slip ring brush is simply important, but how do we that? This is one of the questions which the users usually have in his mind. The answer to this question is quite simple, the right choice of brush grade depends on the slip ring temperature parameters. The slip ring manufacturer have set aside certain temperature parameters for each kind of slip ring. The user needs to keep in mind that the chosen grade of the brush does not cause temperature anomaly, it can be defined as any abnormal difference in the temperature level specified by the manufacturer to the temperature level real time.